Dr. Philip Caster is on the cusp of success. 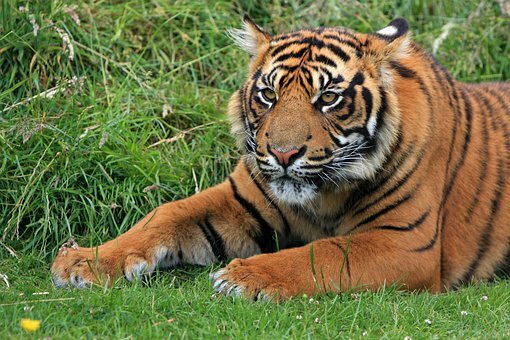 His work with the San Diego Zoo reintroducing captive-bred tigers to the wilds of Jakarta is about to be validated. He gets to work with Kent Blackthorne, one of his best friends, and he might even have a chance to rekindle his romance with Kent’s sister Kendra. Then shortly after the release of his tigers, an entire nearby village is mauled, leaving no survivors. 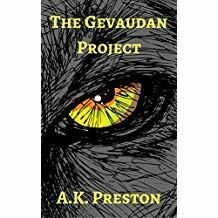 Philip is desperate to prove that his tigers aren’t the cause, and starts hunting for the answer…not knowing that it will drag him deep into the twisted crevices of what the human psyche is capable of. philip is desperate to prove that his tigers aren’t the cause, and starts hunting for the answer…not knowing that it will drag him deep into the twisted crevices of what the human psyche is capable of. The message of this book is a current one for our times. What is the difference between a faithful scientist, and one who has no faith? How much of the work of current scientists is just science, and how much is philosophy? Preston takes some current scientific theories to their logical ends…and shows us where it can take man when embraced by evil characters. To his credit, Preston does not portray all atheist or differently believing scientists, or even most of them, as evil or ignorant. He concentrates on individuals, and how science can be misused by a few to the detriment of many. Some of the heroes in the book are not believers either. how much of the work of current scientists is just science, and how much is philosophy? One of the things that I found refreshing in this book is that while the author does address how science can be misused (and even references the abortion issue briefly), he is demonstrably not anti-science. On the contrary, his position seems to be that people of faith not only can be good scientists, but are also desperately needed in the scientific community. ..while the author does address how science can be misused…, he is demonstrably not anti-science. There were some style issues in this book that I found distracting. The author frequently would describe to me the reasons behind things that I would have preferred to figure out for myself, and this made the author’s philosophical message less subtle than I would have preferred. I felt that there were too many quotable quotes, and that the scientific references, while necessary, should have been presented in an appendix at the end of the book instead of at the end of each chapter. I also felt that the last few chapters, while interesting, constituted an extended epilogue and should have been shortened. I would have loved to see more Jakartans in prominent hero positions, and there was a very minor character, known only as the Watcher, that I would have loved to see more of. My recommendation: I think this book would appeal most to men 16 and over who enjoy scientific thrillers by authors like Dean Koontz, Frank Peretti and Michael Crichton. It’s a fast paced read within the larger framework of a relevant subject to our times. I’m not a fan of thrillers, but I’m looking forward to the sequel, especially if the Watcher makes another appearance. Heat: Almost none There is a minor romance subplot, but the characters only express clean verbal affection and do not even kiss. Profanity: None. There are some characters who curse, but the author creatively conveys that without using actual profanity. Violence: The violence is comparable to an action movie. There is violence by animals with some blood (because violence by animals is by definition messy) and violence by humans, but without gratuitous description. Genre: Christian Scientific Thriller, similar to “Watchers” or “Jurassic Park”. Age recommendation: 16 and up, due to the violence. Disclaimer: I received a free copy of this book with a request for an unbiased review. The author writes reviews for my book review site.